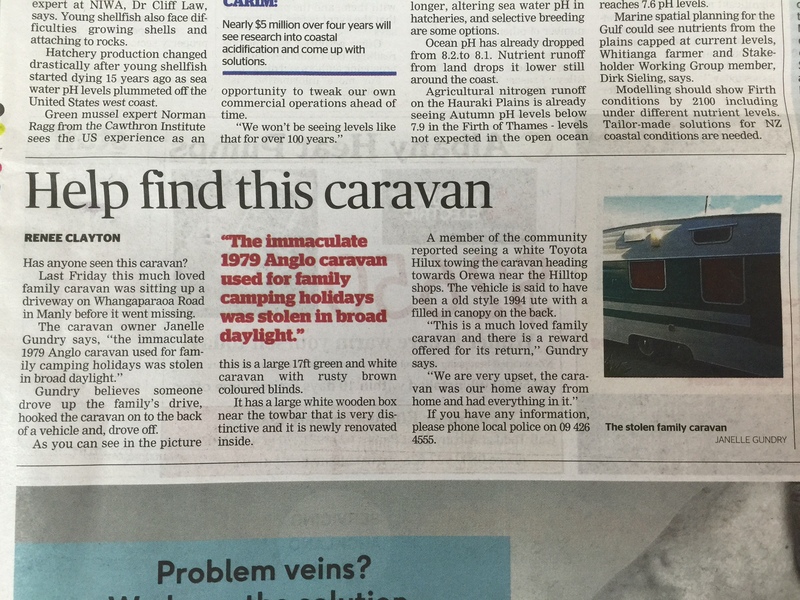 Information required about a stolen caravan. Initial details and photos are as per the article in the Tuesday 16th August Rodney Times or view the attachments if you don’t have the paper. Further details are that this caravan was towed along Ahuroa Road (west bound) then briefly parked at the end of Ahuroa Valley Road last Friday 12th August at 4.30pm. 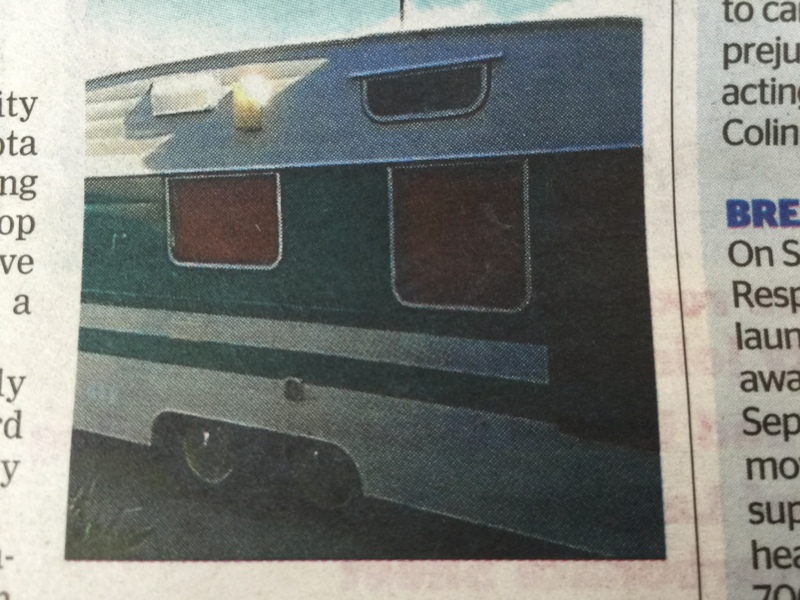 If you have ANY information on this matter please call Sgt Kylie Mcivor at the Orewa Police on 09 426 4555.